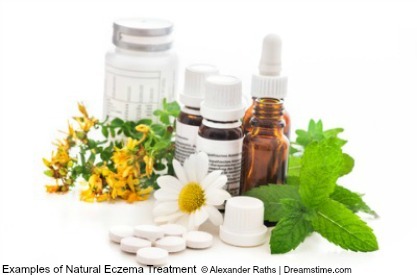 Which Natural Eczema Treatment Could Benefit Your Skin? Natural eczema treatment can be used if you are looking for an alternative way to manage your's or your child's eczema. There are different types of natural treatment you can use alongside conventional treatment. You may decide to try a natural treatment after using conventional treatments for many years. Or you may prefer to try them on your child's eczema. There has been alot of negative press about the use of topical steroids in the management of eczema. When used properly they are relatively safe. There are guidelines to follow when using topical steroids. The key is to use the natural skin remedies alongside your emollients and topical steroids. Always use your moisturiser. A chemical free emollient will help to keep your skin supple and moisturised, to help prevent skin damage. It may be necessary to use your steroid cream to help deal with an outbreak. Any inflammation usually clears in a few days. Then you can stop using it. If you find a natural treatment that helps to control your skin, then the need to use topical steroids will be greatly reduced. Is A Natural Eczema Treatment Safe To Use? Essential oils and herbal treatments are usually very safe to use. Both for adults and children. Although before starting to use any alternative treatments, check with your doctor. This is because some may affect the effectiveness of any medications you are taking. Also if you are using any treatment directly on to your skin, then test a small amount on a small area of skin. If there is any irritation then stop using immediately. The only people who are recommended not to use any of these treatments, are pregnant women. Some of them maybe unsafe to an unborn baby. As with any treatment, any type of natural treatment may work better for someone than for someone else. It will be trial and error, and will require some patience. You are unlikely to see a major improvement straight away, but if your skin feels and looks better after a couple of uses then it maybe worth carrying on with that treatment.